Super Lawyers has named four Todd & Weld LLP partners to its 2018 Top 50 and Top 100 Lists. Ingrid S. Martin (Criminal Defense) was named to its 2018 Top 50 Women Attorneys in New England and in Massachusetts, as well as its Top 100 in New England and Top 100 in Massachusetts. Victoria L. Steinberg (Business Litigation/Employment Law) was named to the 2018 Massachusetts Super Lawyers Top 50 Women Attorneys. Howard M. Cooper (General Litigation) was named to its 2018 Top 100 in New England and Top 100 in Massachusetts. 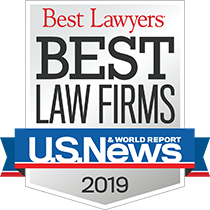 Max D. Stern (Criminal Defense: White Collar) was named to its 2018 Top 100 in Massachusetts. Ms. Martin, a partner at the firm, concentrates her practice at the intersection of criminal defense and healthcare law. She represents healthcare providers in a variety of matters, including allegations of false claims submissions, exclusion from Medicare, Medicaid and other federal healthcare programs, and licensing and accreditation challenges. Ms. Steinberg, a partner at the firm, concentrates her practice on a wide range of employment law matters and business litigation. Her practice encompasses a variety of industries, including technology, healthcare, telecommunications, educational institutions, and nonprofit organizations. Mr. Stern, a partner at the firm, has more than 40 years of experience litigating groundbreaking criminal matters and complex civil cases. 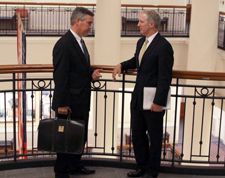 He has appeared and argued at every trial and appellate level, including the United States Supreme Court. 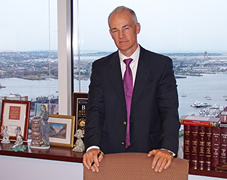 He has received numerous awards for his legal work.